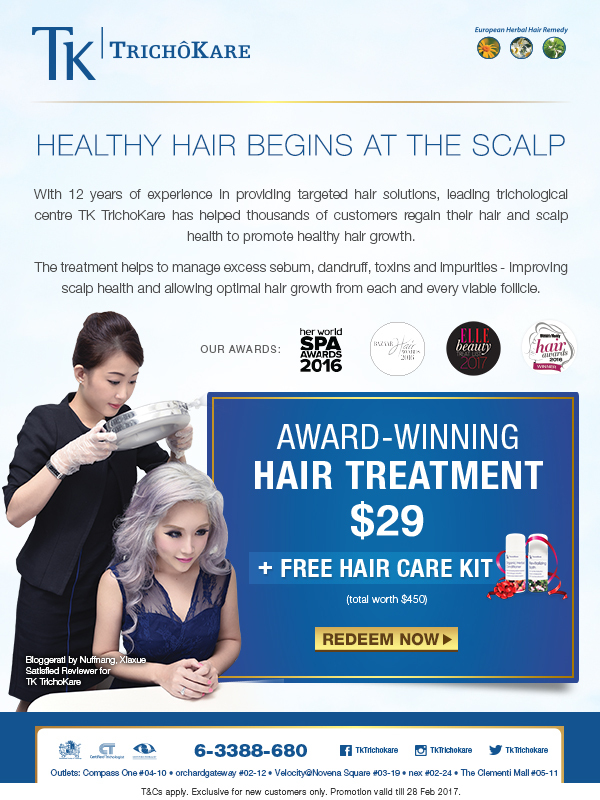 Exclusive Hair Treatment @ $29 From TK TrichoKare! With 12 years of experience in providing targeted hair solutions, leading trichological centre TK TrichoKare has helped thousands of customers regain their hair and scalp health to promote healthy hair growth. The treatment helps to manage excess sebum, dandruff, toxins and impurities – improving scalp health and allowing optimal hair growth from each and every viable follcie. Award-winning hair treatment at $29 + Free Hair Care kit (total worth $450). T&Cs apply. 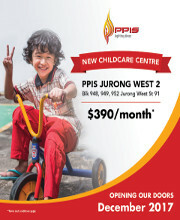 Exclusive for new customers only. Promotion valid till 28 Feb 2017.